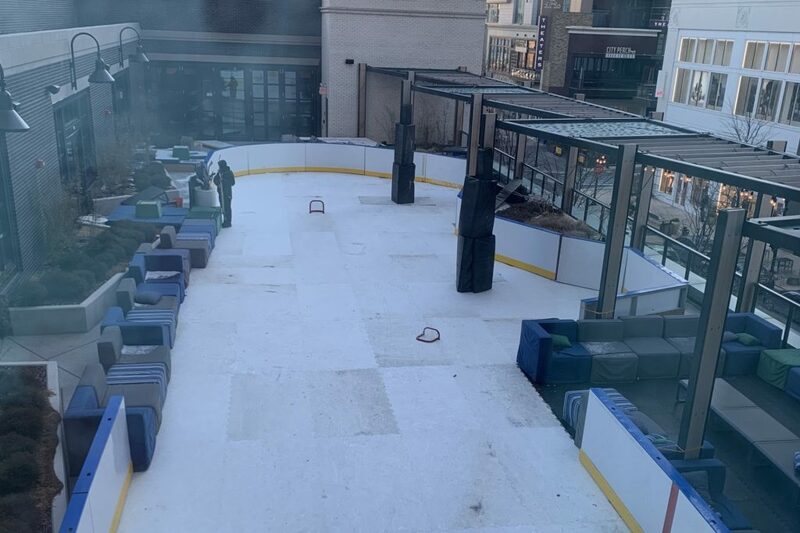 A new ice-skating rink is now open on the roof terrace at the Canopy by Hilton at Pike & Rose. Two hours of skating time and skate rental cost $14 for children and $17 for adults and is open every day from 11 a.m. to 9 p.m. The rink will support Mel’s Rink Foundation, which provides mentally and physically challenged children and adults with athletic training, development and play space. The rink is next to the Canopy Central Restaurant & Bar which serves a skating menu that includes toasted peanut butter and banana sandwiches, mini hot dogs, spiked hot chocolate with artisanal marshmallows, Irish coffee and craft beer from Rockville’s 7 Locks Brewing, Laurel’s Jailbreak Brewing and Waredaca Brewing in Damascus. This entry was posted in Local Businesses and tagged Canopy by Hilton, Ice Skating. Bookmark the permalink.